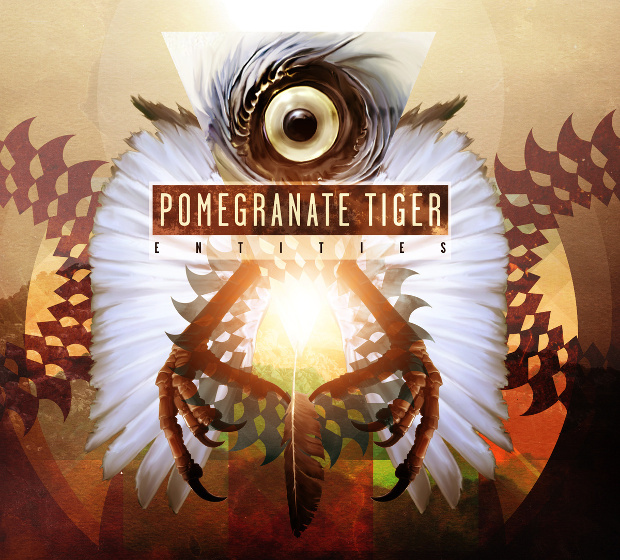 Instrumental and experimental progressive metallers from Windsor (Canada), Pomegranate Tiger, have been around since 2010. Throughout 2010 and 2011, they recorded their debut album Entities, which was released in January 2013. The album became the #1 best selling record on Bandcamp in the metal category, and #11 best selling album in all categories. Pomegranate Tiger is currently working on their second album which will be released by the end of 2014. Prog Sphere talked to guitarists Martin Andres and Matt Shaheen. Many great things surrounded the release of your debut album Entities. Did it work out to your satisfaction? We never expected to get the reaction that we did. It worked out MUCH more in our satisfaction than we ever could have imagined. We just tried making the best record that we could. What is your mission with Pomegranate Tiger? Our mission with Pomegranate Tiger is to make music that we and the rest of the world can enjoy. How did the creative process for Entities go? Entities was a process that spanned the course of 4 years. beginning 2008 to end of 2011. A few of the songs were some of the first “progressive metal” music that the band has actually tried writing. The record was roughly 90% written and arranged by Martin, and the rest of the original lineup contributed the remaining bit. The ideas and songs were mostly written while traveling, from all over Europe, North America and the Caribbean. The drums were actually programmed via Toontrack’s Superior Drummer due to budget constraints. Most the guitars and bass were done at Martin’s home studio and then later re-amped at SLR Studios in Windsor Ontario Canada. The remainder of the effects, production and miscellaneous guitar parts were also done at SLR Studios. How did you document the music while being formulated? There is a variety of ways PT documents it’s music to be later elaborated on. Sometimes guitar parts when made up are immediately recorded into a DAW program (We use Logic). Zoom makes these handy video recording devices called Q3 HD’s, and those are quite helpful to quickly get an idea on camera. Other than that, Arobas Guitar Pro takes a large part in the documentation process as well as iPhone voice notes. Usually someone will get an idea and send it over to Martin who seems to be the main arranger. Other than that many times Martin will write entire songs and give it to the rest of the band to learn, via tabs and sheet music. What were some of the biggest challenges you faced when working on the album? 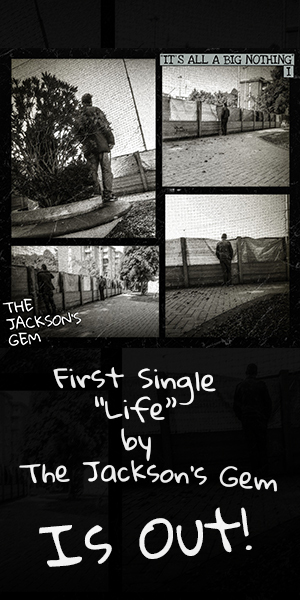 I would say since it was such a long process from start to finish and actually holding the pressed copy in our hands. The hardest part was actually releasing it to the public. We wanted to do it right and actually waited a little over a year after it was already finished to release it. Other than that, faulty hard drives slowed the process a bit and re-recording was necessary. Tell me about the technical side of Entities. Where was it recorded? Who produced it? Also, what kind of gear did you use for the purpose of recording the album? Entities was tracked at Martin’s Home studio as well as at the University of Windsor, and at SLR Studios. Marty Bak, Producer and Engineer at SLR did a bit of producing, but other than that it was self produced. As mentioned earlier, the drums were supplied by ToonTrack’s Superior Drummer 2.0 and the additional production was done at SLR by Marty Bak. The guitars were recorded through Fractal Axe-Fx, which ran through and ENGL Invader for the power amp, and then out through 2 cabs, a Mesa 4×12 and Orange 4×12. The tones were than mixed and matched from the 2 cabs. Provide some insight into the band’s chemistry that opened door for this music. As much as we love metal and progressive metal, I think a key component of Pomegranate Tiger is taking influence from non-metal sources and making them somewhat fit into the progressive metal genre. Classical music, Electronic music, Film scores…the influences are extremely diverse. You mentioned Entities vinyl edition. What happened with that? We’d still love to press Entities on vinyl once there is enough interest. The recent news are that you completed the work on the second album. What can you tell me about it? Have you made any drastic changes in terms of approaching the writing process this time? We aren’t completed just yet. I would say about 75% of the way there. I think this album still sounds like Pomegranate Tiger you expect but some general insights are that it is groovier, darker at times, and songs are bit more streamlined with the ideas. So rather than having 183094183 ideas per song now there’s about 34829. [laughs] There’s just been some maturity in the ideas and how to get them across and we think that will be evident in the new record. Do you have a title for the new album? Are you aiming for a 2014 release? Title hasn’t been decided on yet. Yes, we are hoping for a later 2014 release. Covering Frank Zappa’s The Black Page was quite a challenge, wasn’t it? What is your take on this? This was actually a university of Windsor assignment for one of the classes martin was taking. The idea was to take someone else’s music and do a cover arrangement of it. Martin wanted the added challenge of learning the Black Page on drums and guitar and decided to turn it into a PT piece. You presented your music in front of the audiences. What is the reception like? The reception has been amazing. We are so thrilled everyone has been enjoying it and we can’t wait to give more! It’s obvious that you grab inspiration from many distinctive musical genres. How do you go about channeling this inspiration into writing? It’s really quite easy. We all enjoy listening to various genres just as much we like metal. So we take as much influence from a Chopin Etude, as we do from a Paganini Violin solo, as we do from John Petrucci and how he writes with Dream Theater. Music is a universal language and you can learn so much from all different kinds and morph it all into 1 big picture like we like to think we do! How do you classify what you do with Pomegranate Tiger? We listen to live and breathe all sorts of music and in write it out in a modernistic heavy style for the most part. Where do you see Pomegranate Tiger in the future? Pomegranate Tiger’s goals are to keep making music that we and everyone else can enjoy, while hopefully making enough connections to bring us and our music around the world for everyone to see first hand.